On September 29, 2016, London will host The Commissioners, in partnership with Studio Spaces, the first of a new series of events for the creative circle. Starting at 7pm at Studio Spaces, fashion film consultant and co-founder of Berlin Fashion Film Festival Niccolò Montanari will explore gender, femininity and beauty through a panel with Kathryn Ferguson, resident Film Director & Consultant at Selfridges, producer Shabana Mansuri and trans activist Charlie Craggs. The event is the first of a series of monthly events for brands, filmmakers and producers aimed at shedding light onto the behind the scenes of the lifestyle-driven video industry. The format will involve screening outstanding video content and inviting the creative team behind it to an open discussion as to what made it successful, how the idea came about and how the concept was initially presented to the brands in question. 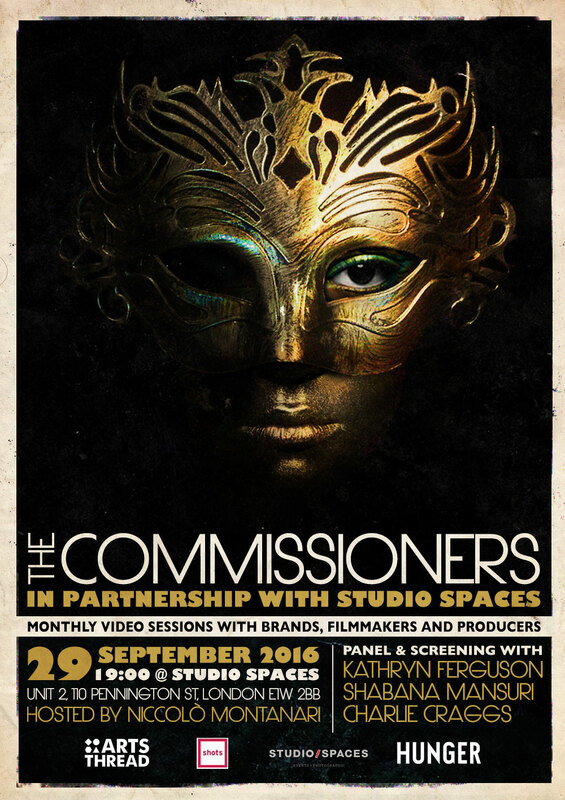 The Commissioners, in partnership with Studio Spaces, will also function as a networking platform for creatives looking for collaborators and potential new clients. Commenting on the event, founder Niccolò Montanari said: “The Commissioners was born out of the filmmakers’ need to gain valuable insights into how the industry works and to help them connect with producers and brands. This is a unique opportunity for people working with this type of video content to meet in private and discuss new topics and ideas”. Born in Italy and raised in the UK, fashion film consultant Niccolò Montanari built his experience in fashion film as one of the founding members of Berlin fashion Film Festival. He has joined, hosted and organised several panels and presentations internationally on the topic of fashion film and his role as jury member has seen him collaborate with several fashion film focused festivals. Niccolò is currently based in London, focusing on organising international meet-ups between brands, filmmakers and producers, curating fashion film screenings for trend-driven events and facilitating collaborations between fashion film festivals internationally. Long Studio Spaces is a vast and spectacular warehouse events space which is spread over 8000 square feet and located in the vibrant St Catherine’s Dock area of East London. With its industrial charm and elegant interior finishes, this unique venue hosts a diverse range of cutting edge events productions; from brand experiences, stylish conferences and technology summits to awards ceremonies, gala dinners and private parties. When not in use as an events space the venue also operates as a busy studio location for high end fashion film and photography shoots.